Accommodation is a crucial element of a residential language course for which ALPADIA accords it such importance. 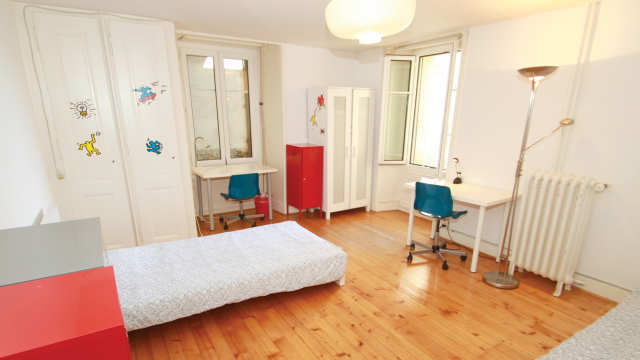 ALPADIA offers students the option of staying in a fully equipped apartment (single or double rooms, large shared fitted kitchen, shared sitting room and Internet connection). Ideally located in the centre of Montreux, the apartments enable students to be completely independent and to participate as they please in the social life of the town. Take advantage of total immersion staying with a host family in a single or double room with bed and breakfast or half board options. These families, with whom the school has been working for a long time, live in areas well served by public transport and are regularly reviewed to ensure students receive high quality accommodation. Choose from an extensive network of hotels offering accommodation at special rates.